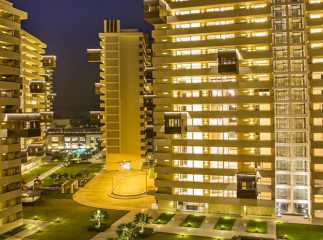 Gurgaon is a booming realty destination that draws attention for all kinds of realty spaces. It is one of the most promising places that boast of excellent connectivity, well-developed infrastructure, and rapid urbanization. The wide array of options available for investors and end-users make it an ideal investment destination. Situated in the bustling industrial and financial zone of Gurgaon, Sector 54 is an exclusive locality. It is tactfully located close to the arterial roads of the city namely the Gurgaon-Faridabad Road, Rajesh Pilot Road, and the DLF Golf Course Road. Since the Sikandarpur Metro Station is mere 6 kms away from here, the area enjoys smooth connectivity to the capital city. It is a hub of many business parks and flaunts having a well-developed social infrastructure. Property in Sector 54, Gurgaon includes an array of options ranging from luxury apartments, independent houses, villas and many under-construction developments. The IGI Airport is at a distance of 21.1 kms from here. The area lies around 29 kms towards the southwest of Delhi and is close to Badshahpur, Samaspur, Sector 51 and 52. The presence of MNC’s like HCL Technologies, Genpact, Maruti Suzuki India Ltd., Convergys, and Oracle India make it one of the rapidly flourishing sectors of Gurgaon that is well-linked via rail and roadways. Being a home to the HUDA City Centre and Metro Station, the area is the most sought-after residential destination in the city. The very famous ISKCON Temple is at a brief driving distance from here. Proximity to Delhi and other landmark locations, presence of MNC’s leading to rapid growth and development, good connectivity, etc. are some of the factors that are working in favor of this area. Many reputed Educational Institutions (Scottish High International School, Shalom Presidency School, Greenwood Public School, Suncity World School, Pathways School, The Banyan Tree, World School, Lancers International School, The Heritage School, Mother's Pride,) Hospitals and Banks (State Bank of Patiala, HDFC Bank, Bank of Baroda, Andhra Bank, Punjab National Bank, Sri Ram Memorial Hospital, Fortis Memorial Research Institute, etc.) are based in this sector. The area enjoys smooth connectivity via road and railways. The Haryana Roadways buses connect it to other cities like Uttar Pradesh, Delhi, Haryana, Chandigarh, and Rajasthan. The Bijwasan Railway Station is approximately 18 kilometres away. The Indira Gandhi International Airport is 21.1 kilometres away via Delhi-Expressway. Suncity Shopping Complex, Metro World Mall, Centrum Plaza, South Point Mall, and Tau Devi Lal Bio Diversity Park, 32nd Milestone, and Kingdom of Dreams are some of the entertainment and recreation options available here. 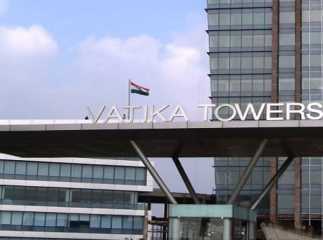 For those who wish to invest in a good residential or commercial project in Sector 54 Gurgaon can consider offerings by developers like Vatika Group, DLF, M3M, Godrej properties, BPTP, Emaar Realty, Raheja Developers, Mahindra Lifespaces, etc. Discover here some of the outstanding properties in Sector 54 Gurgaon!